Did you ever wonder why the taskbar in Windows 7 does not have a shadow effect like every other part of the OS? Did the shadow product manager at Microsoft forget about the taskbar? Thanks to a helpful developer, shadow aficionados have a solution. The fix is provided by SweatyFish on devientART is called Taskbar Drop Shadow. Download the file and run either the bottom or top application file depending on where your taskbar is oriented. Options can be found by right clicking on the shadow and selecting preferences. 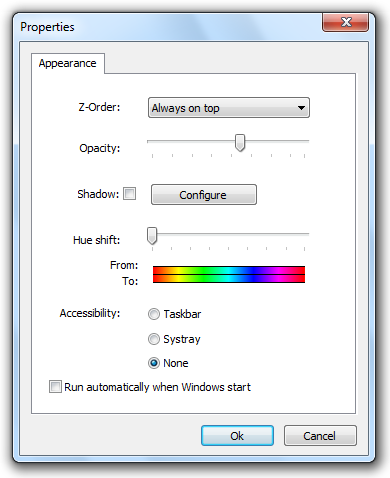 There you will have access to change the opacity of the shadow, the color and configure the application to start with Windows.